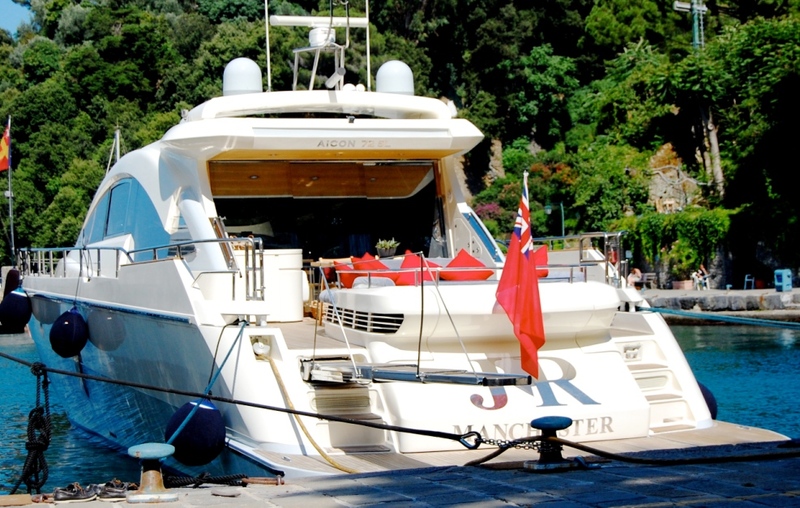 JR is an Aicon 72 Open style sports cruiser which was built in 2008, refitted in 2011, available for charter in the Western Mediterranean including Northern Italy, South of France, Corsica and Sardinia. 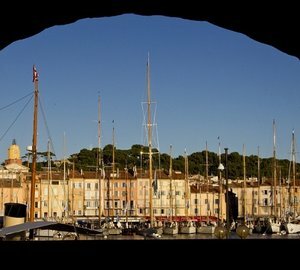 Her design is intelligent and maximizes external spaces and outdoor living. Her modern and contemporary interior promotes space and harmony with plenty of light filtering through wide uninterrupted windows. 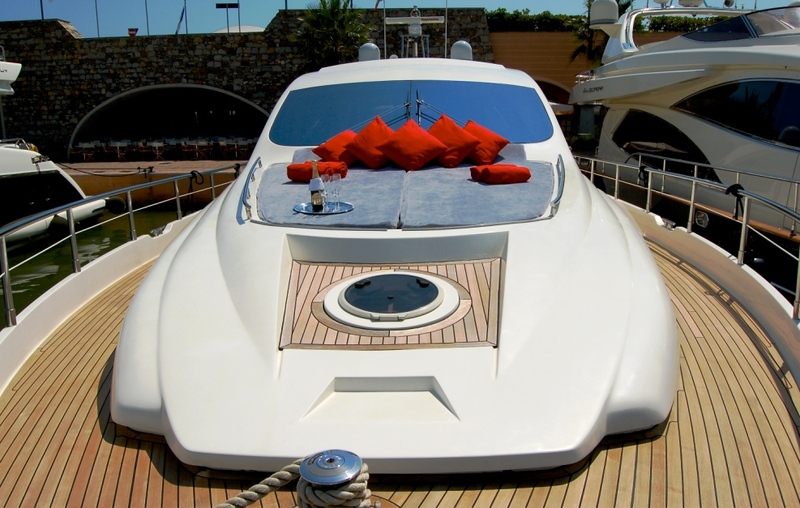 Her hardtop roof retracts to create an open-air atmosphere and bring air and light indoors. 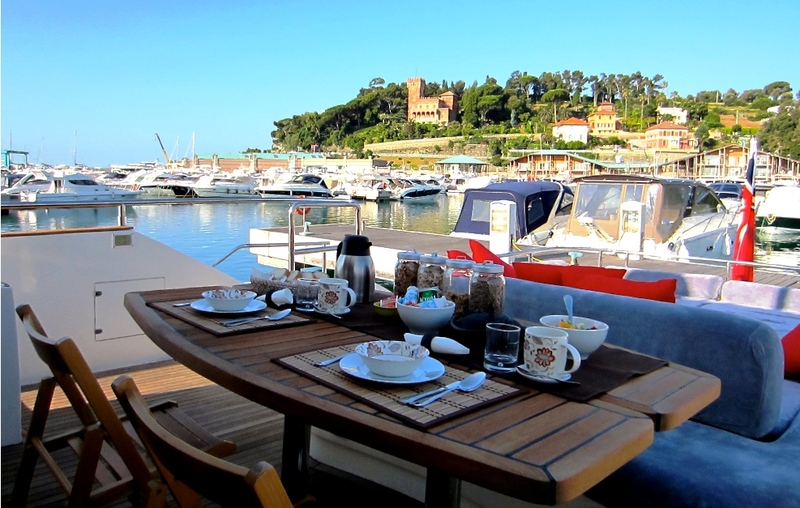 She has been fitted to the highest of standards and provides a number of wonderful areas onboard to relax in the outdoors. 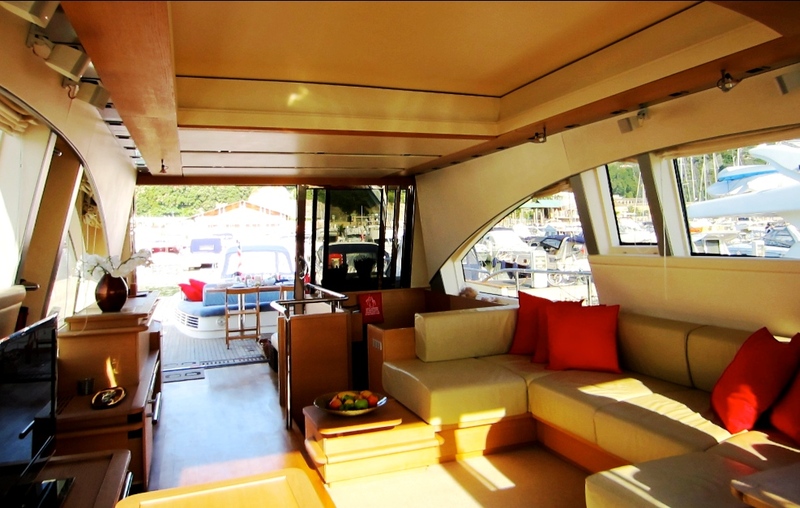 The aft deck is equipped with an alfresco dining table and a large sunbed. There is a second sunbathing area forward of the bridge. 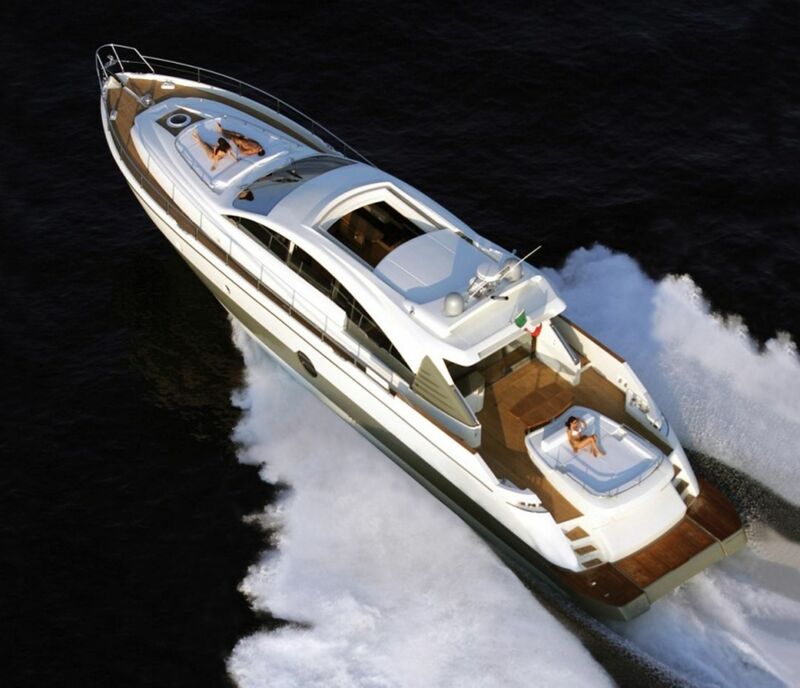 This well equipped, beautifully designed crewed Motor Yacht Aicon 72 is perfect for lovers of speed and luxury. 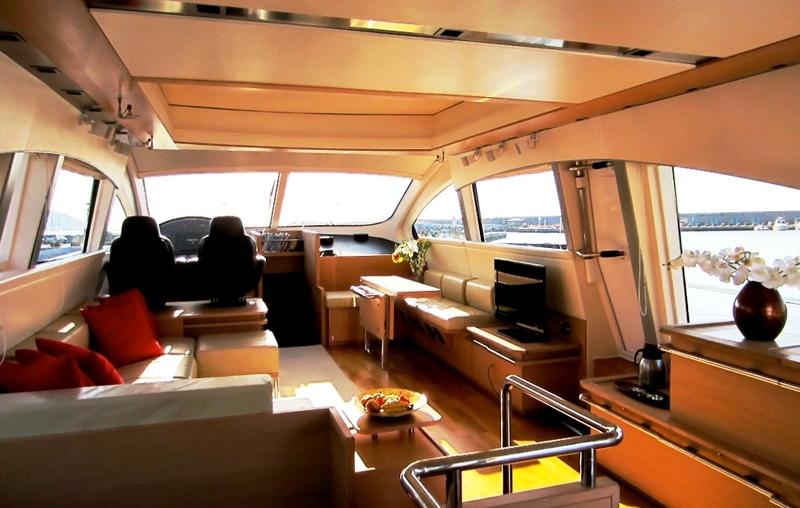 With a cruising speed of 33 knots, this yacht will not disappoint. 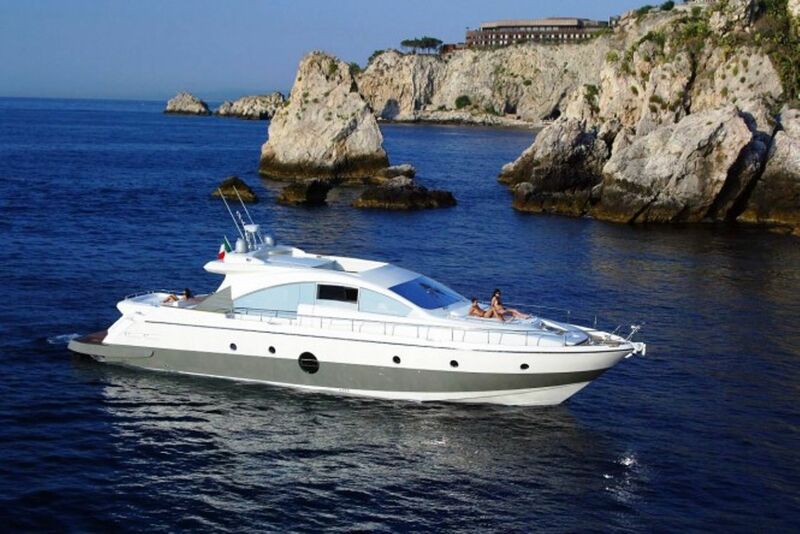 The innovative open style creates harmonious flow from inside to out and she is the ideal platform on which to enjoy a magnificent Mediterranean holiday. 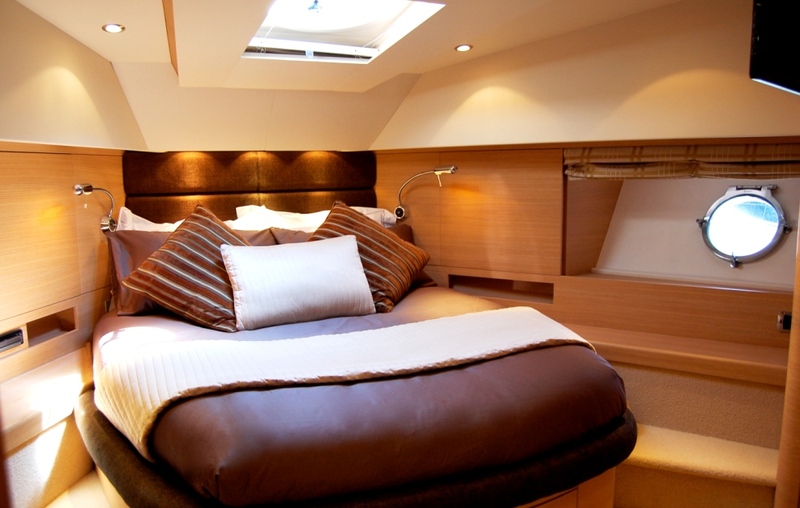 The luxury sports cruiser Aicon 72 can comfortably accommodate six guests in three ensuite cabins. 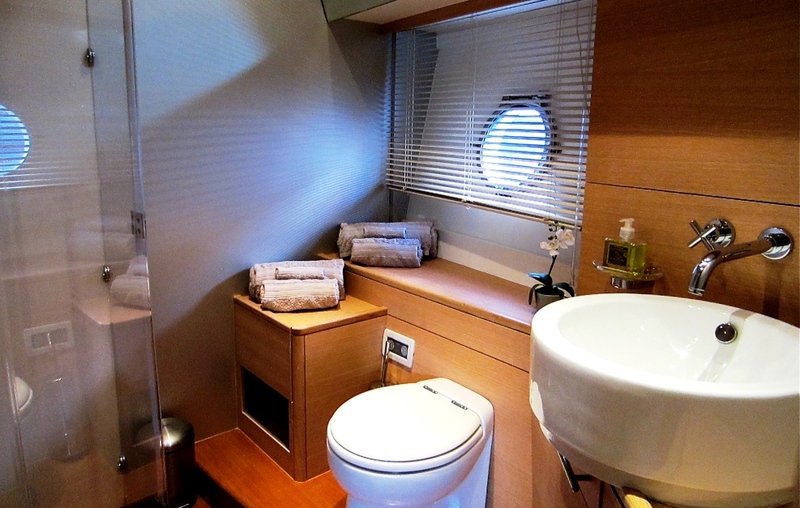 The master cabin is large and spacious with a centrelined double bed and a lounge/vanity. 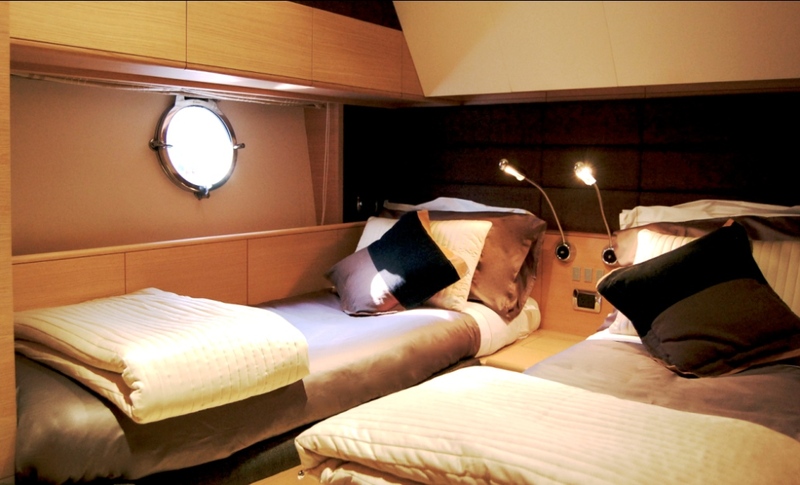 The VIP cabin is also similiarly furnished. 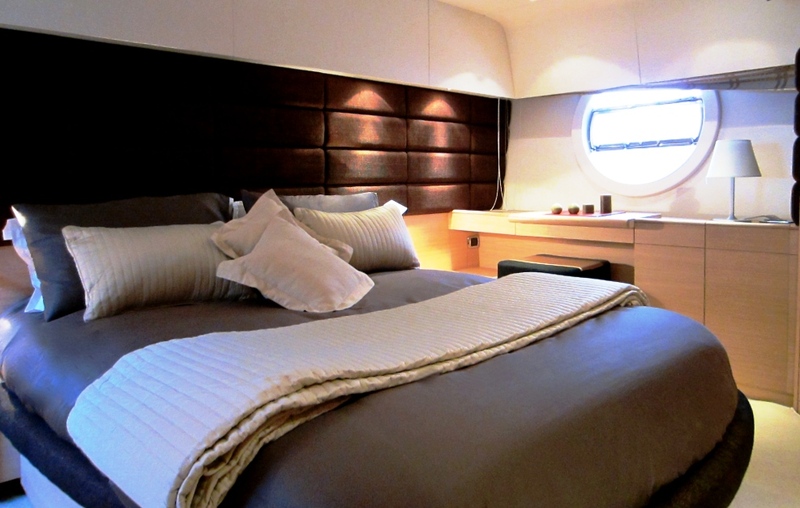 The third cabin is a twin configuration with two single beds. 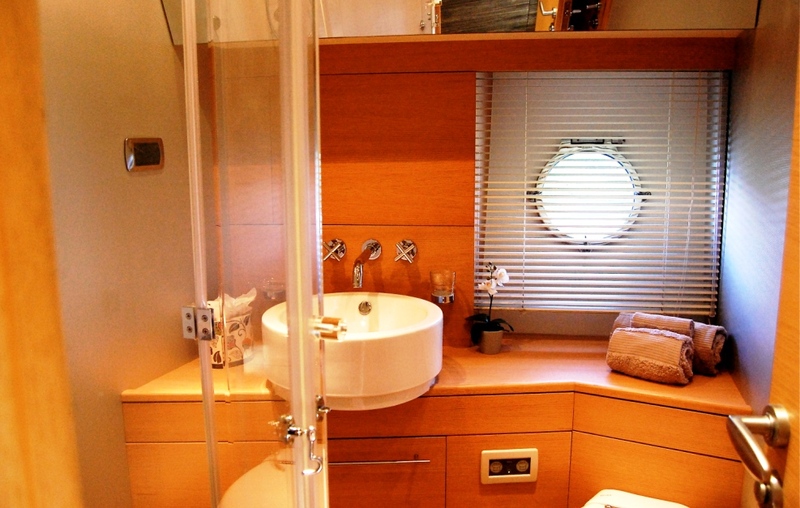 All cabins are equipped with with a private ensuite bathroom. There is an additional crew cabin for two crew.